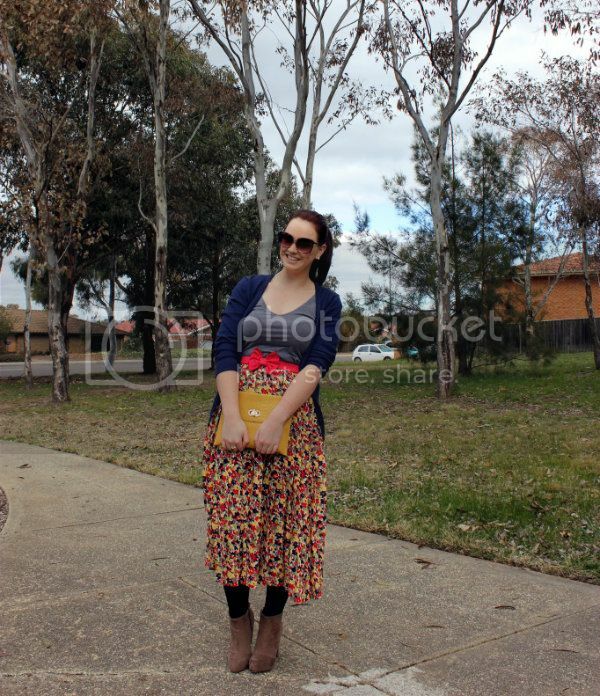 Today I braved taking outfit photos for the first time in public. This is just a little park up from my house and no one was there so maybe it was a good place to start my foray into the big wide world. It is a little bit embarrassing walking around with a tripod taking photos of yourself but than I am more than happy to put them all over the internet, it doesn't really make sense. I wore this outfit on Friday night and didn't realise how low cut this top was till I looked at these photos, whoops! The skirt is vintage and from the lovely store Pumpanickle Vintage which I got the pleasure of visiting in person while we were down the Coast. Back to work tomorrow, I hope you have had a lovely weekend! I have not ventured out in public with my tripod yet so I think you are really brave. I absolutely adore that belt it's gorgeous. I love how that bow & skirt match. And awesome thought to mix the primary coloured outfit with a public place like a playground! :) Go you! 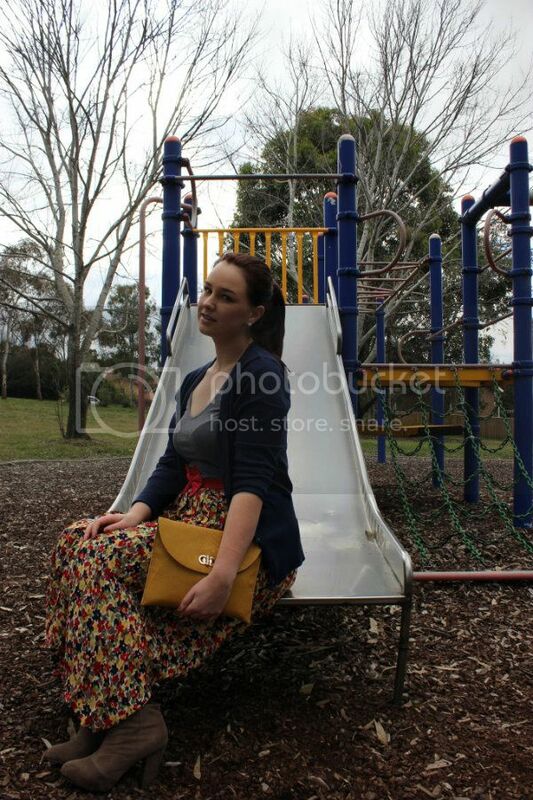 The clutch looks gorgeous against the vintage skirt, love the warmth it brings :-) The boots are brilliant! I love this outfit so much! That skirt is so pretty and such a nice length. 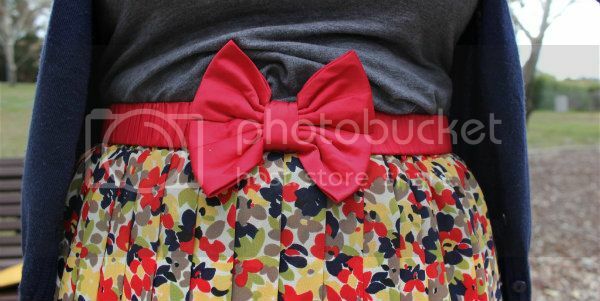 And the bow belt is so cute :) Alannah Hill makes such nice things. Love the photo of you on the slide. 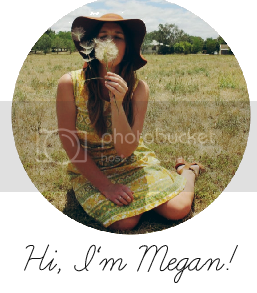 You look lovely, Megan. I love the Autumn vibe to this outfit, it's perfect!